Although rare in frequency, airplane and aviation accidents often have life-altering consequences. Whether involving commercial or private aircraft, aviation lawsuits can be difficult to prove and be complicated. In the aftermath of an aviation accident, a multitude of federal and local investigations will be conducted by government agencies, including the Federal Aviation Administration (FAA) and the National Transportation Safety Board (NTSB). Investigations will also be conducted by local authorities and various insurance companies, which may be involved. 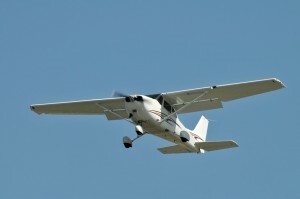 Assigning liability in an aviation case can be difficult with different factors possibly contributing to the accident. Factors for aviation accidents may include human error, mechanical failure, maintenance issues, defective equipment or air traffic controller negligence. Many aviation accidents result in the death of some or all passengers on board making many of these accidents wrongful death cases [link to wrongful death page]. Our attorneys at Berman and Riedel, LLP understand the devastation of losing a loved one and subsequently dealing with a lawsuit. For a survivor of an aviation accident, our attorneys appreciate the challenge of dividing focus between physical, financial and emotional recovery. This can be a stressful and confusing time for victims and their families, it is important for injured victims to seek legal assistance as they make an effort to obtain the damages to which they are rightfully entitled. At Berman & Riedel, LLP, we understand that handling airplane and helicopter cases requires a detailed understanding of the aviation industry. Having unique and extensive experience in serious personal injury litigation, our attorneys understand the added efforts that must be made with complicated aviation accident cases. That is why Berman & Riedel, LLP often calls upon respected aviation experts to help determine the cause of the accident. This allows our attorneys to build the strongest possible case, and successfully recover the maximum in damages for its client’s past and future medical expenses, lost earnings, and pain and suffering. If you or a loved one has suffered injuries as a result of another person’s negligent or reckless misconduct in causing an aviation accident, Berman & Riedel, LLP can offer the experience and skill necessary to provide you with sound advice on how to protect your legal rights. Contact an attorney at Berman & Riedel, LLP to discuss your legal options.